This project was a little unique as it was much more “hands-off”, however just as effective! 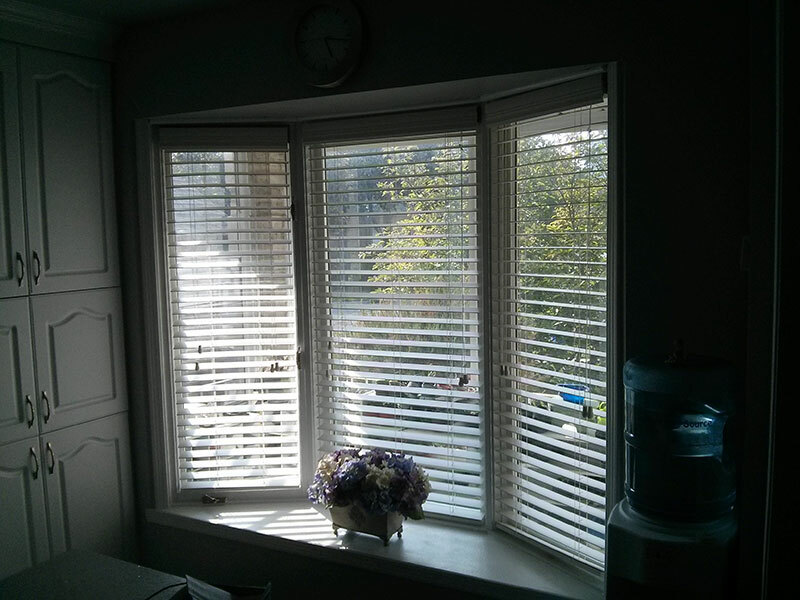 The customer had just gone through a huge kitchen renovation and money was an important factor in deciding how to cover their beautiful bay windows. 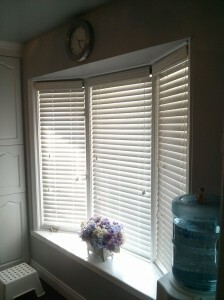 Shade Works suggested our 2” Fauxwood Horizontal Blinds (Colour: Pearl White) for the bay windows facing their front yard. 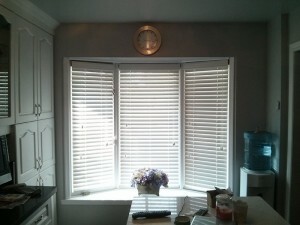 These blinds are durable, cost effective and look great! 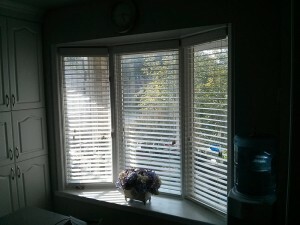 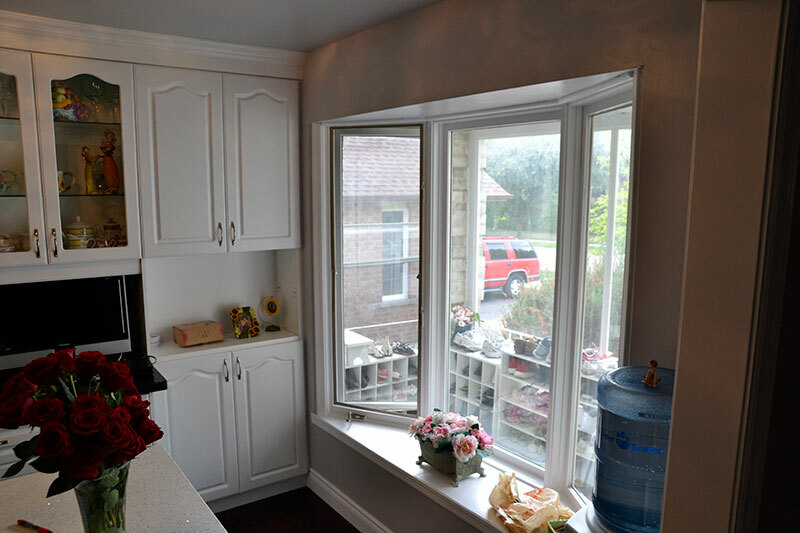 The customer especially loved the ability to fully lift the blinds for a clear view of the outside, as well as just tilting the horizontal slats to quickly check on their dog running in the front yard. 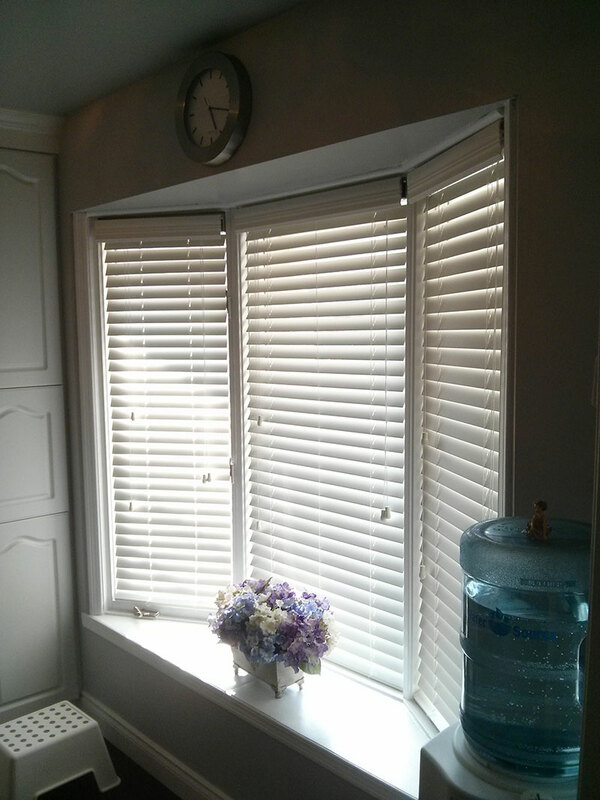 However, the amazing part about these blinds was the fact that the customer not only measured their own windows, but fully installed them himself with ease. 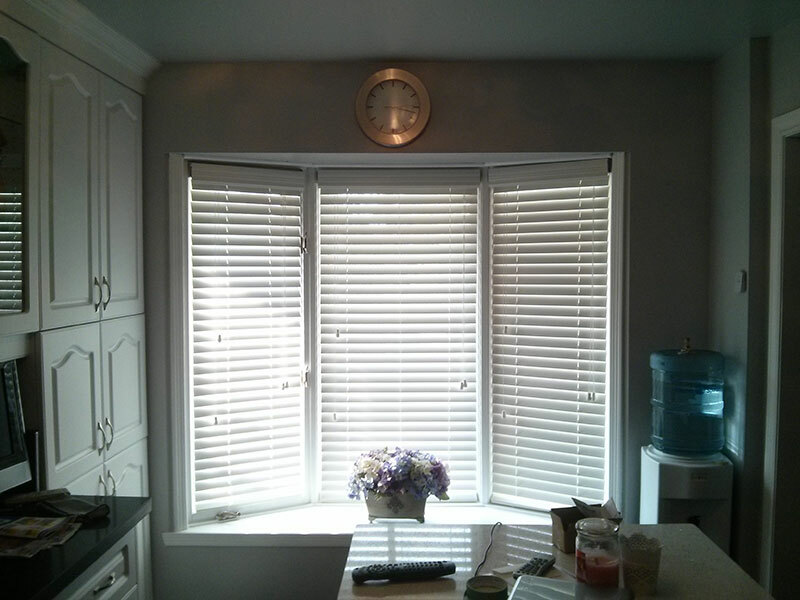 He couldn’t believe how easy they were to install!